is honored on Panel 7W, Line 64 of the Vietnam Veterans Memorial. 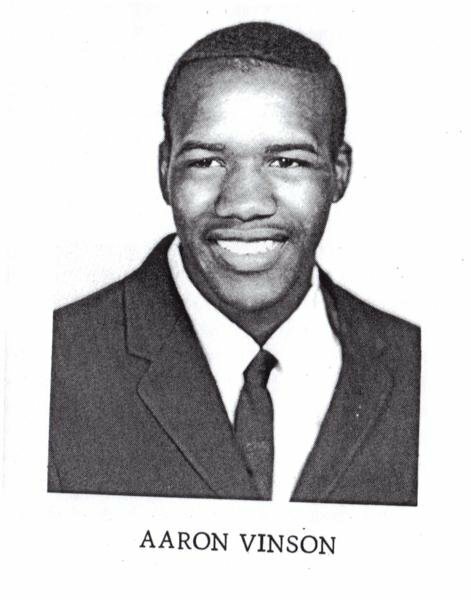 Private First Class Aaron Vinson, Served with Company A, 1st Battalion, 11th Infantry Regiment, 5th Infantry Division. 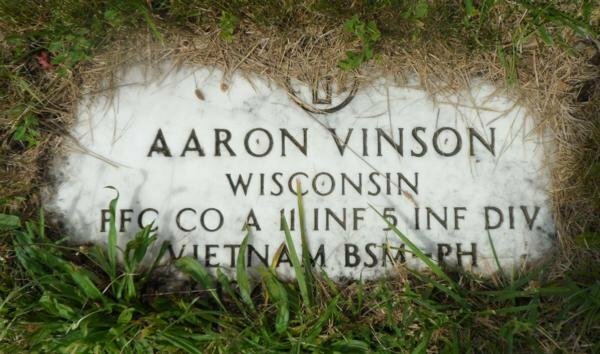 Aaron is buried at Glen Oaks Cemetery, Milwaukee, WI. Aaron was from a small town called Trumann, Arkansas. 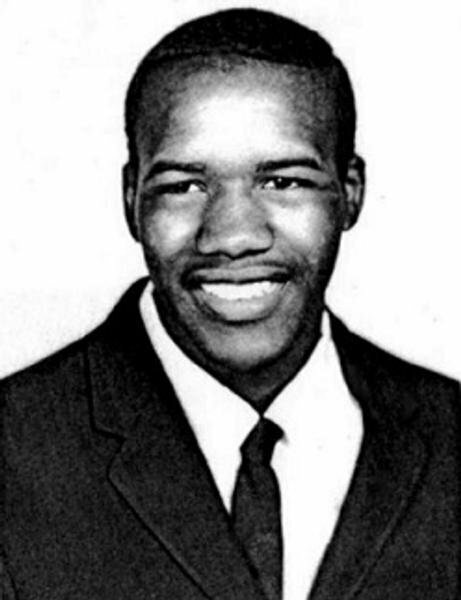 A few years ago I tried to located members of his family but was unsucessful but did find several who attended school with him and remembered him as a fine person and good student. He served his country well and will be remembered by those in Poinsett County Arkansas.